I love summer activities more than any other season! Nothing says summer to me like time spent at the pool, being outdoors every moment you can and there is so much tasty summer food to enjoy. 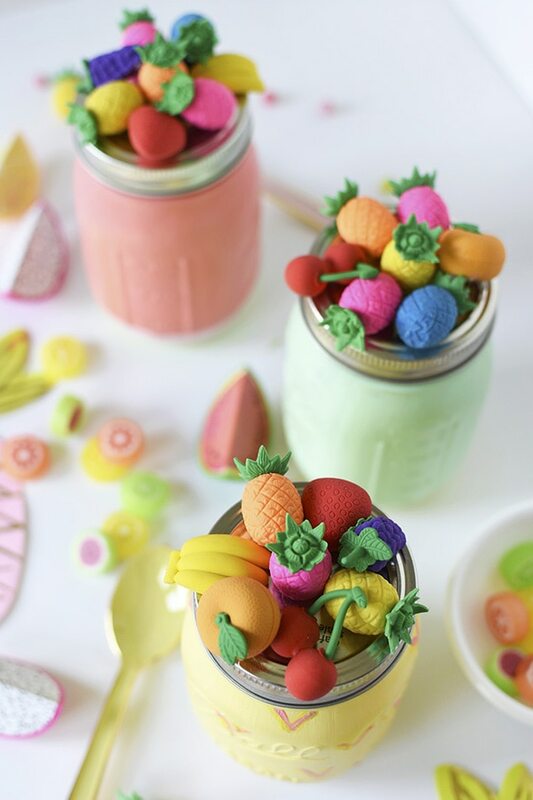 Today I am sharing how to make Summer Fruit Mason Jar centerpieces that can turn into sweet treats to send home with friends! I have said it many times, but I love miniature things. 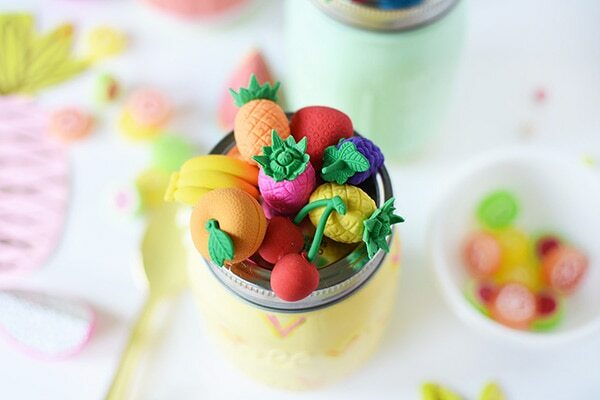 When I saw these precious miniature fruit erasers, I quickly fell in in love. 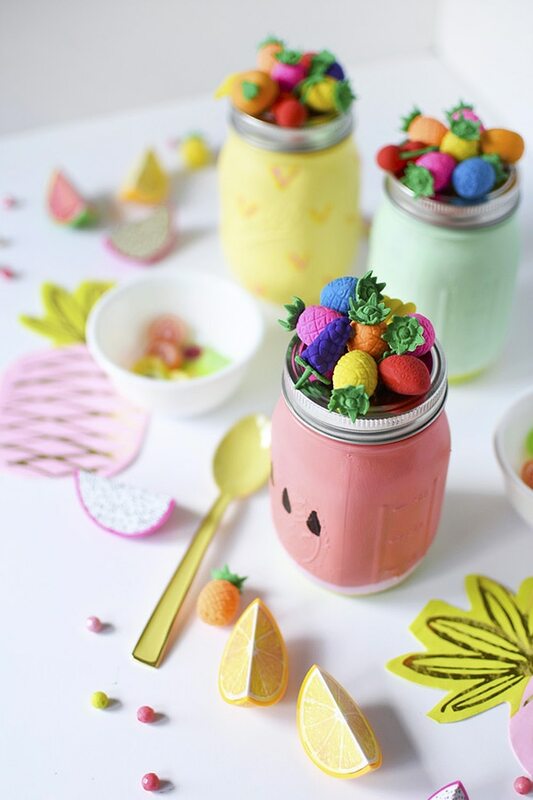 After hosting a fun summer hangout, you can fill these fun painted Mason Jar with fruit candy and send them home with your guests! And we have been enjoying the leftover candies for weeks, they really taste great. 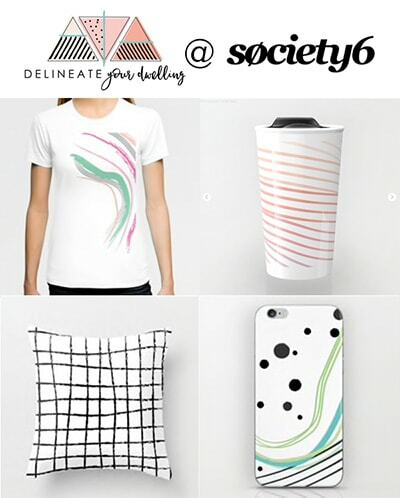 Please head over to Oriental Trading’s blog to see my full supply list…. 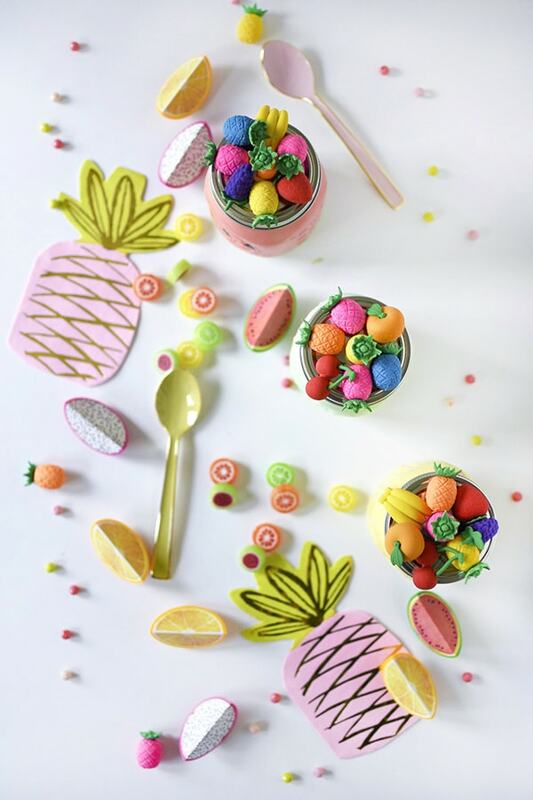 I had so much fun with all these adorable supplies for this project! I used all different colored pineapples, an orange, a bunch of bananas, a bunch of grapes, a strawberry, and a pair of cherries. Oh, they were all so cute! 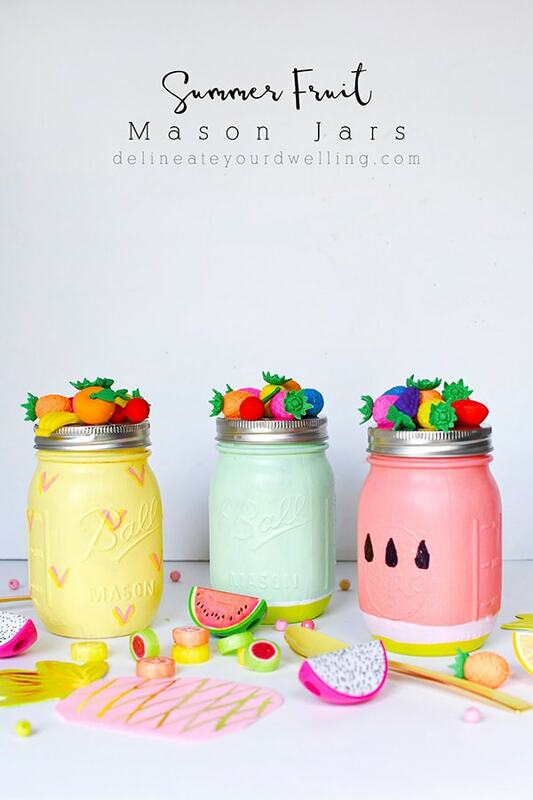 And be sure to see the full step by step tutorial for these colorful Mason Jars, head to Oriental Trading’s blog. Carrie from Dream Green DIY created these DIY Minimalist Mason Jar Candle Holder. 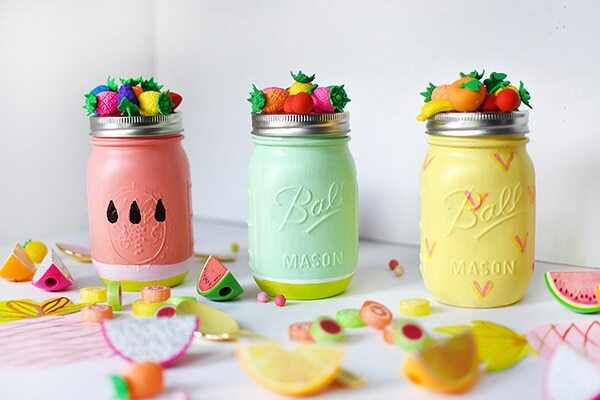 Haley from Design Improvised created DIY Confetti Mason Jar Lanterns. Sara + Melissa from Alice and Lois made DIY Macrame Plant Hangers this month. 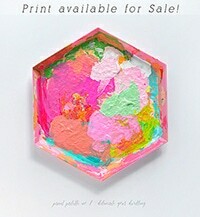 All beatiful congratulation, very nice.